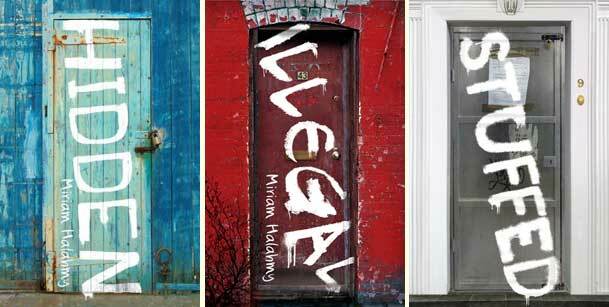 Miriam Halahmy is the author of the three YA novels that make up the Hayling Cycle, Hidden, Illegal and Stuffed. Her book Secret Territory, charting the physical and emotional journeys of two generations of a Jewish family in 1940s London and 1970s Israel, has recently been republished as an e-book. She has also written a comic-style information narrative for children undergoing cancer treatment, Peppermint Ward and contributed to short-story anthologies for children. 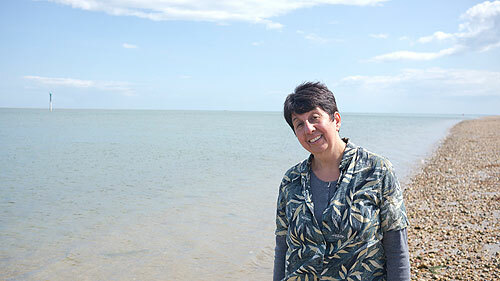 Miriam is a long-standing member of the London-based Highgate Poets. Her most recent collection is Cutting Pomegranates, illustrated with sculptures by her brother-in-law Oded Halahmy. Miriam is a consultant and facilitator for English PEN, running sessions with asylum seekers as well as providing training for groups wanting to set up creative-writing workshops. 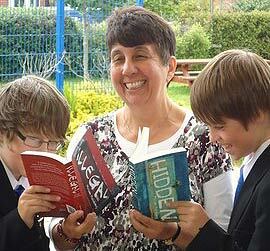 She also works with schools and community groups using both poetry and the Hayling Cycle, especially Hidden, to raise issues of peace, tolerance and human rights. 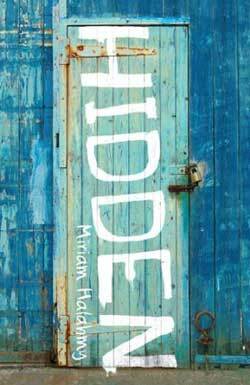 In Hidden, which was nominated for the UK’s prestigious Carnegie Medal, narrator Alix and her school-friend Samir find a half-drowned Iraqi on the beach: Mohammed had been tortured and spent all his money to flee Iraq. Alix and Samir decide to hide him… Although most readers of Hidden will never face the kinds of decisions Alix has to make, her journey, as well as our ever-deepening affection for her and Samir, mean that readers will dig deep to think about their own prejudices and any intolerance assimilated unthinkingly from social pressures, the media etc. One aspect of the book that works well is the way it combines the big questions raised by the central plot with scrutiny of the kind of unthinking, uneducated racism that readers are likely to witness themselves, so that we are left questioning our responses on many levels. It is wonderful to have Miriam here at MWD and to find out more about Hidden, as well as her many other projects. Welcome, Miriam! What was your path to becoming a full-time writer? I have written all my life but started writing classes in the 1990s and then began to get published – short stories, poetry, book reviews, articles. I published my first novel in 1999, Secret Territory (now on Kindle), while teaching full-time. It was only when I came out of teaching after thirty years that I really focused on fiction. I have been a full-time writer/workshop facilitator for six years now. So far I have published four novels, two poetry collections, short stories, a brief memoir and many articles, blogs and book reviews. You are Anglo-Jewish and your husband is from the Iraqi Jewish community and was born in Baghdad. How has your and your family’s history and heritage influenced your writing? I think that my background has been a great inspiration in my writing because it is so full of stories. I was born in London but I am from a Polish Jewish background and grew up in a swathe of languages including Yiddish, Hebrew and French. My husband speaks Arabic, Hebrew and English and so I have added Middle Eastern culture, food, languages and literature to my eastern European origins. The history and the stories are vastly different and so have enriched my writing enormously. Did you already have all three stories in The Hayling Cycle lined up when you wrote Hidden? No. As I was writing Hidden I became interested in Lindy Bellows, the bad girl and felt she should have her own book. She came from a dysfunctional family with criminal connections so I decided she should be drawn into the drugs trade. Lindy always knew she was better than most of her family and Illegal is about her plight and how she extricates herself. But then I decided that two was the wrong shape. Three felt about right and the obvious choice for Stuffed was Jess. I was keen to write a romance. The concept of my cycle is that a minor character in the previous book becomes the main character in the next, with familiar characters having walk on parts. But each book is a stand-alone story and can be read in any order. What were the challenges involved in separating and combining the characters’ lives? How did you ensure that the ‘facts’ were consistent throughout? I did have difficulty keeping the facts consistent, particularly in the second book as it grew organically from the first. By the time I came to the third book I was much more careful in my planning and consistency and it was a much smoother ride. Fortunately I had written the first and second by the time I got my contract so I had time to sort out the glitches. I really enjoyed the opportunity to explore minor characters more deeply in this cycle and it is something I would like to try again. But with more planning before I start this time. Hidden is narrated by Alix; Illegal is told in the third person, though very much through the eyes of protagonist Lindy; and Stuffed alternates between narrators Jess and Ryan – was it a conscious decision to make these shifts in narrative voice? How did they affect the way you approached your writing? I was keen to try out different tenses and view points across the three books. If I’m honest, first- person present tense is my default voice for Y.A. But I wanted to step outside my comfort zone. I really felt that these different voices helped me to develop as a writer and also helped me to get inside my characters’ heads in different ways. Within the scope of the cycle, you touch on major social issues: asylum seekers, bereavement, debt, dysfunctional families, intolerance, racism, self-harming, teenage pregnancy, young carers – as well as the yearning for love and for a future. How did you ensure that you conveyed these concerns convincingly through teenage eyes? In some ways that is almost impossible to say. How do I manage to create an authentic teenage voice across so many different characters? Perhaps that is part of the mystery of writing. It certainly works because all my readers – children, teens and adults – comment on how well I achieve the teenage voice. But I also think it is partly to do with the fact that I have an ear for languages, having been exposed to so many throughout my life. I speak French and Modern Hebrew, have a smattering of Yiddish and Arabic and ‘acquire’ bits of languages on holiday such as Italian and Russian. I think this ear for languages means that I tune in very quickly to accent, dialect, tone, slang, emphasis, whatever the age of my characters. Across the three books I have characters aged from 2 to 94 years. It is something which comes naturally to me. In relation to dealing with such contentious issues, for me this is all about creating strong, three-dimensional characters whom readers want to commit to and follow through the book. I wasn’t trying consciously to ‘educate’ but to put my characters in the line of fire and see how they would cope. 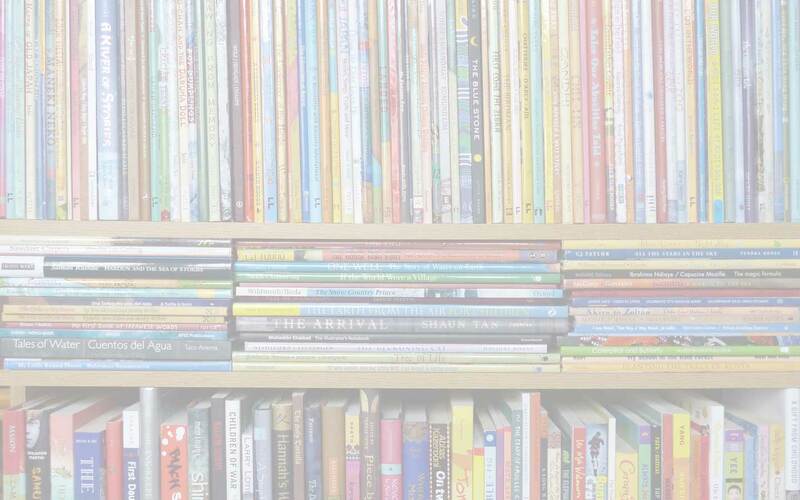 What has been the reaction to the stories from the books’ readers, especially on Hayling Island, the small island off the south coast of England (and connected to the mainland by a bridge), where the books are set? What research did you do for Hidden? Massive research! I started to go down to the Island for weekends and sometimes for day trips. My husband also loves the Island so we booked a flat there for a week every summer. This really helped me to soak up the atmosphere, the changing landscape with the seasons and of course the ever-changing sea. I always read the local paper when I’m on the Island and walk around just talking to people. More specifically, I researched the five ‘little ships’ which went to Dunkirk from the Island in 1940, and even went over one of them and took photos. A Dunkirk story appears in Hidden. I did a lot of research into the facts and figures around asylum seekers and checked my material with experts in the field. My husband’s family were a great resource for life in Iraq as they were all born in Baghdad and speak Arabic. I love doing research and was still checking the Arabic in the book during final edits. Can you tell us about your work with asylum seekers? I have worked with asylum seekers since I was a teacher in Camden (London) in the 1980s. We had children from all over the world, including from amongst the Vietnamese boat people. However, in the past few years I have been running creative writing workshops through the Medical Foundation for the Victims of Torture and then through English PEN, specifically for asylum seekers. Writing can help the clients to deal with trauma; and through writing, they can explore their experiences and look at how their lives have been shaped. I wrote Hidden in order to challenge a lot of myths about asylum seekers and to show that they are people just like us. Many young people write to me after reading the book saying that it has opened their minds to this subject. A school in South Africa has recently bought 30 copies of Hidden to use with whole classes and so has a school in Paris. I think that the book speaks to all age groups and opens a lot of doors. You are also a poet and you run workshops about peace that focus on both Hidden and poetry. Can you tell us something about this? This year I was invited to a Paris school to run workshops on peace and tolerance by Sarah Selbouh, English teacher. Sarah runs a programme in the school which is part of a European-wide project for peace together with schools in Spain, Germany and Turkey. She found me via my website because of my writing and because I have been involved in working to bring people together across the Middle East divide, promoting peace and tolerance. I have been invited back to Paris in October 2014 to work with a group of students from all four schools. There is so much conflict in the world. I believe that we must always try to promote peace as the answer, along with tolerance, dialogue and reconciliation. War is not the answer. A well-written piece or poem can have a lot of influence. Working with young people in this field is enormously inspiring and I am very much looking forward to returning next month. On your website you have pages devoted to Nelson Mandela and Janusz Korczak, including poems that you have written. What is it about these two beacons shining out against oppression that resonates with you, and how has that influenced your writing? Both Nelson Mandela and Janusz Korczak were living in extraordinary times in their separate countries and under regimes that were oppressive and specifically targeted their ethnic group. Both emerged as leaders who were prepared to die for the freedom of their people. Mandela’s story is well known but Korczak, while a hero inside his native Poland and to Jews around the world, is almost unknown otherwise. Korcazk was the director of the Warsaw ghetto orphanage and when the orphanage was liquidated in August 1942, he accompanied the orphans to their death in Treblinka. But he was already a famous man in Poland and, in fact, the Nazis told him that he could walk away from the deportation. He refused to leave the children. 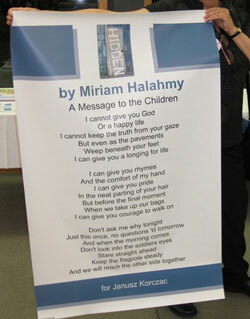 I visited the orphanage a few years ago and wrote the poem which can be read on my website. The lives of these two men have inspired me to write poems as well as think about how I want to live my life and the examples I want to set. I am redrafting a novel for 9-12 year olds, recently completed, which is based on an untold story of World War II. I am putting together my third poetry publication, hopefully to come out at the end of this year. Thank you so much, Miriam. Before you go, there’s just time to ask you a few more questions ‘In the MWD Spotlight’! The Diary of Anne Frank. It was the very first time I read the thoughts of another Jewish girl my age. But of course Anne dies after the end of the diary. It would be nice to see Jewish kids appearing in books as just one of the crowd. Diversity is a hot topic these days. I have some Jewish characters in books I am currently working on. I move between both quite happily. The Dove Flyer by Eli Amir. The book is set in 1950s Baghdad and tells the story of why the Iraqi Jewish community had to leave. Eli Amir was a boy at the time and he describes the changes in Baghdad as like an ‘earthquake’. It’s an extraordinary book, which helps to understand modern Iraq, and beautifully written. I walk on beaches (never lie) and paddle in the water, however cold. I love the horizon of the sea but I also love mountains and I used to rock climb (see Stuffed). My head – ideas often remain in my head for quite a long while, as they brew. 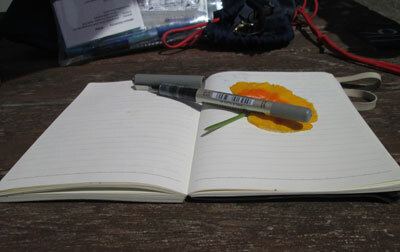 Then I will turn to my notebook and only open my laptop when I am ready to start. A small koala bear which Dad brought back for Mum from a work trip to Australia. Sadly my parents are no longer alive so their little mementos are eternally precious. Had another crack at rock climbing and managed a bit. I can stand on one leg for 30 seconds (well, the left one anyway – working on the right one). I am helping to construct a website for the committee which is raising the profile of World War I poet and artist, Isaac Rosenberg. I have been on the committee for a year. Also, I have huge edits to do for my latest book to get back to my agent for submission. Thanks to Miriam for permission to use photographs from her website: images are linked to their relevant pages and articles. 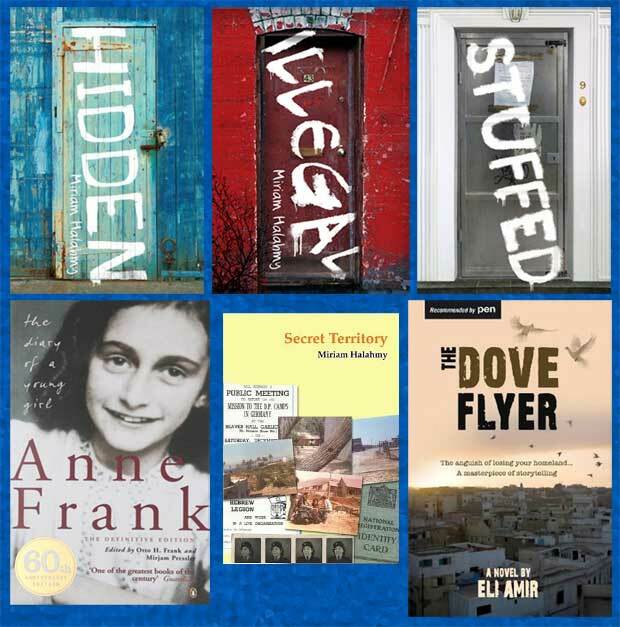 Eli Amir, English PEN, Hayling Cycle, Hidden, Highgate Poets, Illegal, Janusz Korczak, Miriam Halahmy, MWD interview, Nelson Mandela, Peppermint Ward, Secret Territory, Stuffed, The Diary of Anne Frank, The Dove Flyer. Bookmark. Visit Miriam's website and archived author blog On Writing. Read some of Miriam's posts on the shared author blog, An Awfully Big Blog Adventure: The Ramblings of a Few Scattered Authors - especially this one! Find Miriam on Twitter and Facebook. 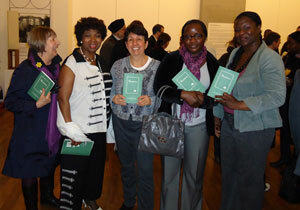 Read extracts from Peppermint Ward. Read more about the background to Miriam's poem 'A Message to the Children', set to music by author and composer Helen Bonney and performed by Helen's son Jack Cooke. The poem is dedicated to Jewish Polish children's author and visionary educator Janusz Korczak, who was killed along with the children in his care at the Treblinka extermination camp in 1942. 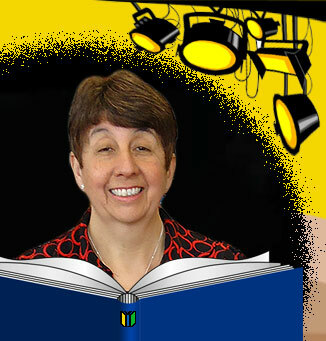 Read Miriam's interviews with Tall Tales and Short Stories and The Bookette (both 2011). ...and PEN - the organisation's history; PEN International and its centres around the world; and English PEN's work with young people.